In March this year, notification was released for Railway Recruitment Board, RRB 2018 Exam. This entrance exam is for Group C and D posts. Nearly 1.5 crore applicants are vying for some 100,000 jobs at this railways exam. On July 11 the link activation was done by Railway Recruitment Board (RRB). This application status link allows candidates to visit the official websites of the state or online exam website they are in and check their application status. Many candidates are facing rejection this year as their applications do not comply with due process of the RRB Entrance Exam. The mistakes include; missing birth certificate, Class 10 admit card, or marksheets. 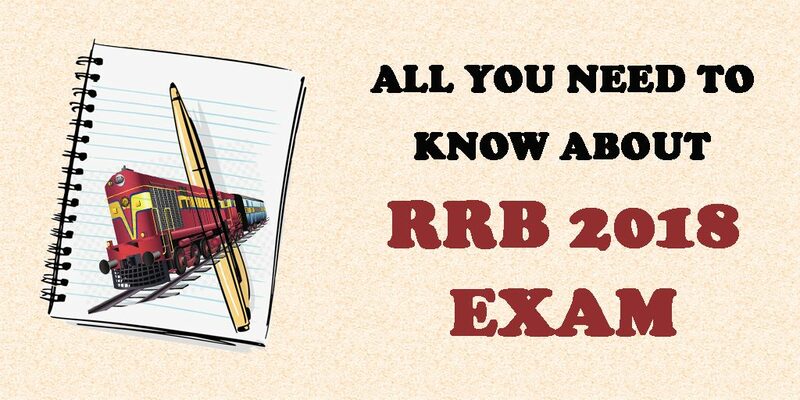 As the dateline has moved over from March to April to August (tentative), the RRB will be releasing the admit card for railways exam 2018 in the last week of July. However, the information is still tentative and the candidates better keep preparing mock test and keep a tab on online exam website. Over two crore candidates are in the race for 90,000 posts in RRB Group C and RRB Group D. And, another 9,500 openings are in the Railway Protection Force. There are 26,502 loco pilot and technicians posts and 62,907 Group D posts open for recruitment. General Intelligence and Reasoning:This section will test your Intelligence Quotient (IQ). It is the easiest sections of them all but only if you practice mock test If you think you will clear the section without needing mock papers online or books, the reasoning section can become troublesome. Numerical Ability:This section is very important for candidates who are appearing for computer-based test (CBT) for SSE, JE and ALP posts. The railways online exam website mentions that in order to qualify in each test, a candidate needs minimum 42 marks. This is applicable to all candidates without any relaxation. The ALP merit list is to be only from the candidates qualifying in the aptitude test. This means 70% weightage for the marks obtained in the part A of second stage CBT. Plus, 30% for marks obtained in computer based AT.